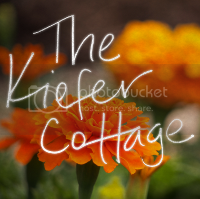 The Kiefer Cottage: Let's Blog Hop again! P.S. Thanks to It's so Very Cheri for setting this up. You must have the LINKY FOLLOWERS tool on your site to participate.If you see that your link has been deleted you need to add the LINKY FOLLOWER tool to your site and then come back over and re-enter your link. You can have both the LINKY FOLLOWERS & GFC on your site but you must have the LINKY FOLLOWERS toolto participate in this party hop. You must follow the person who has the party on their site as a thank you. Just add your blog button to the LINKY PARTY below. Follow other bloggers–(as many as you want)–leave each one of the blogs that you follow a comment letting them know you are following them and ask them to follow you back. Another exciting week to find all kinds of new bloggers. I get excited every Tuesday night --just knowing the Linky party starts the next day. Dropping by from the Linky Follower hop, following you now! Hope you have a minute to come by Happy Hour Projects to say hello! 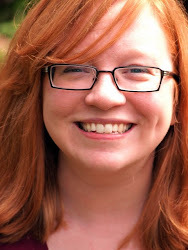 Love your writing style. Good luck with all your projects. Never a dull moment, eh? I'm following you via Linky Followers from the Blog Hop. Hope you'll follow back. I'm following you with linky followers. :) Cute blog!